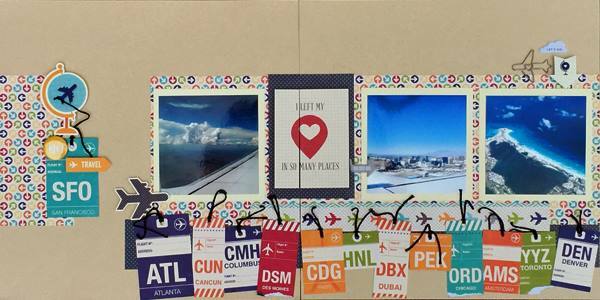 Tiiu, I love how you created your layout with photos from different destinations! I also love the way you added the tags along the bottom of your photos…Great accents! Well done!!! This is awesome Tiiu. I love the way you used the tags and the way you embellished tins page. Pinning it! Thanks for the inspiration. Great job Tiiu, love the ticket stubs! Wonderful layout! I love the bright colors, all the fun travel themed embellishments and the great ticket border! Your photos are awesome and definitely something I love about traveling! Thanks so much for sharing! Oh my I love this layout! Such a fun attention getting page!